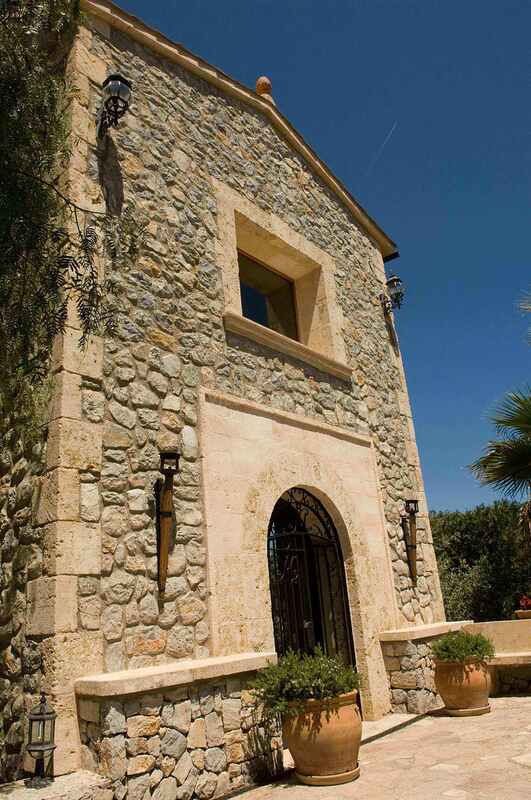 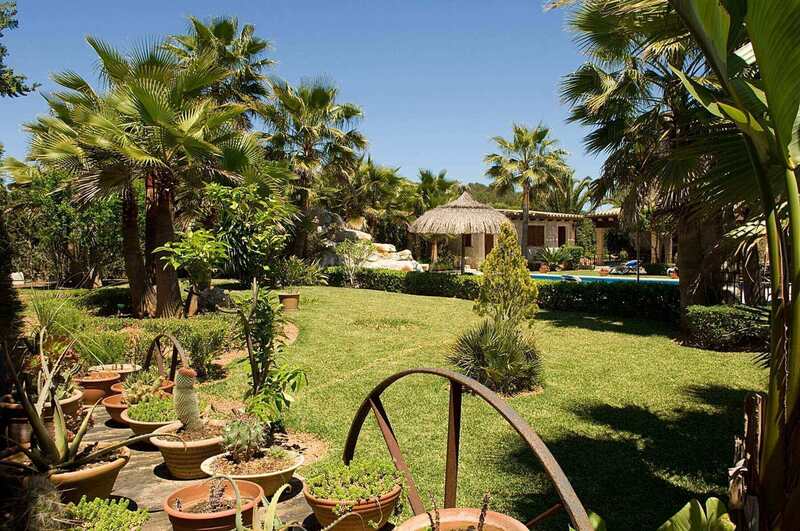 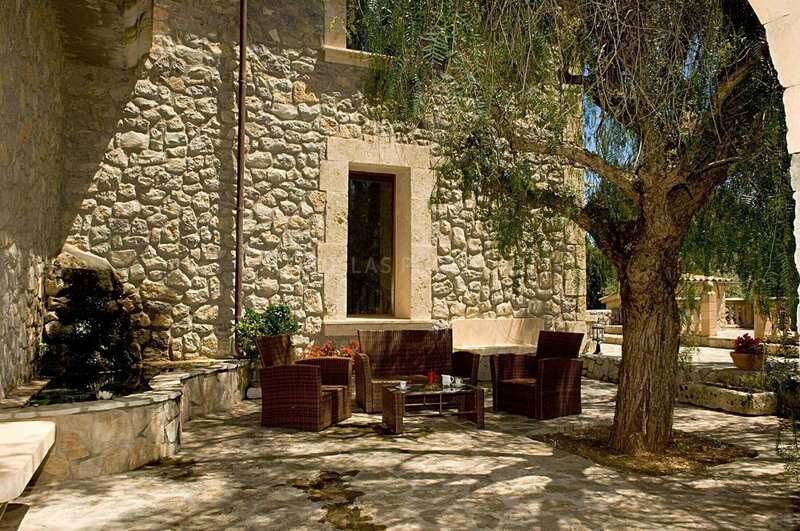 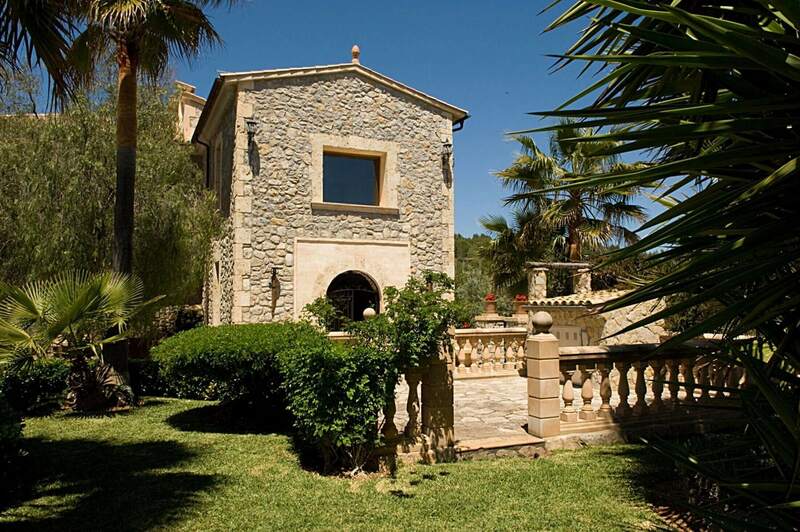 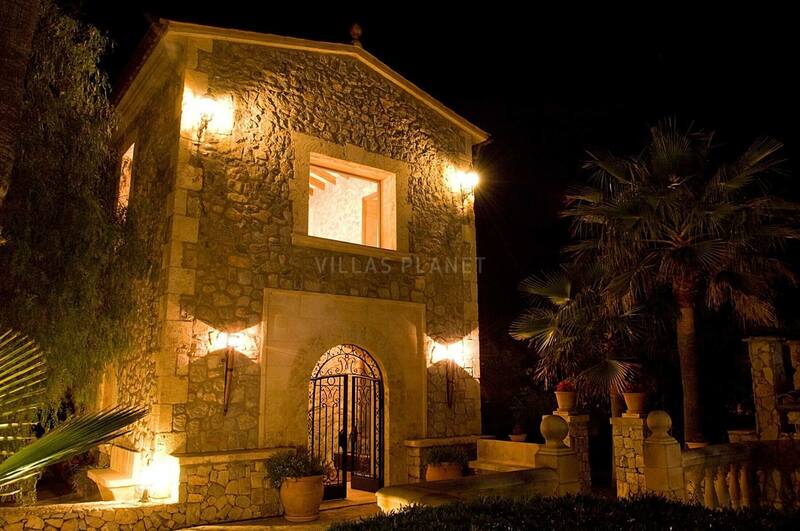 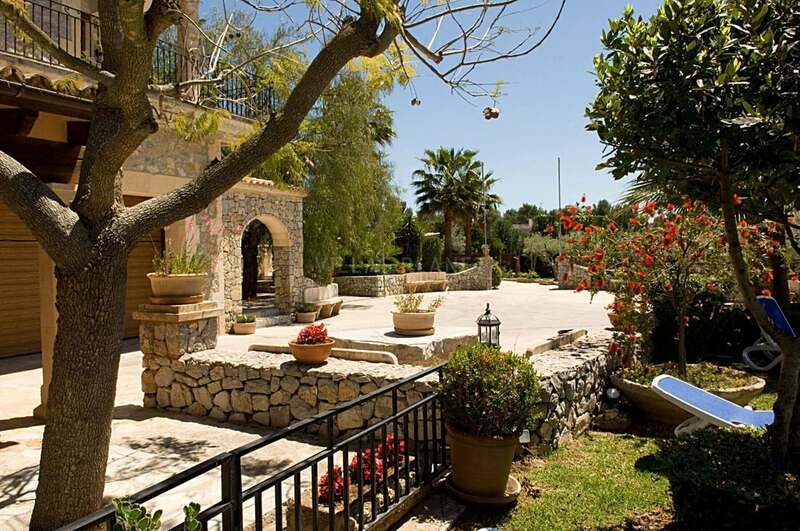 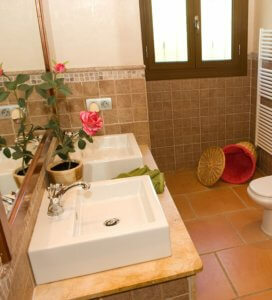 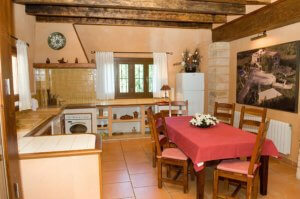 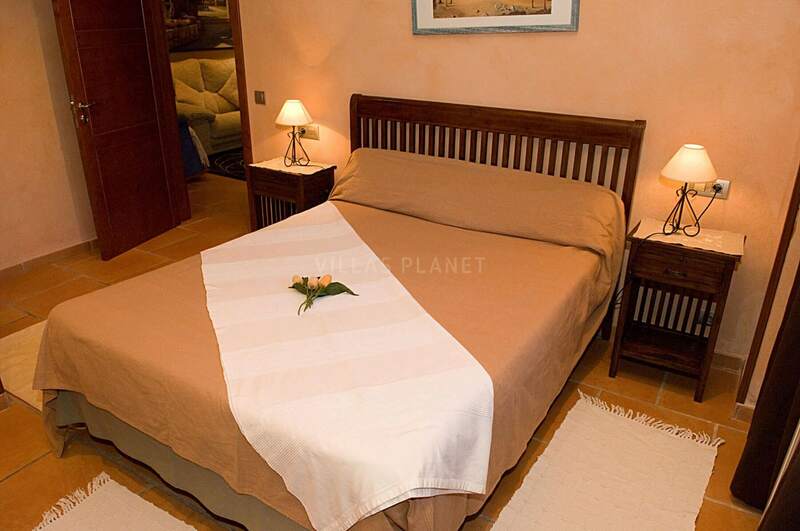 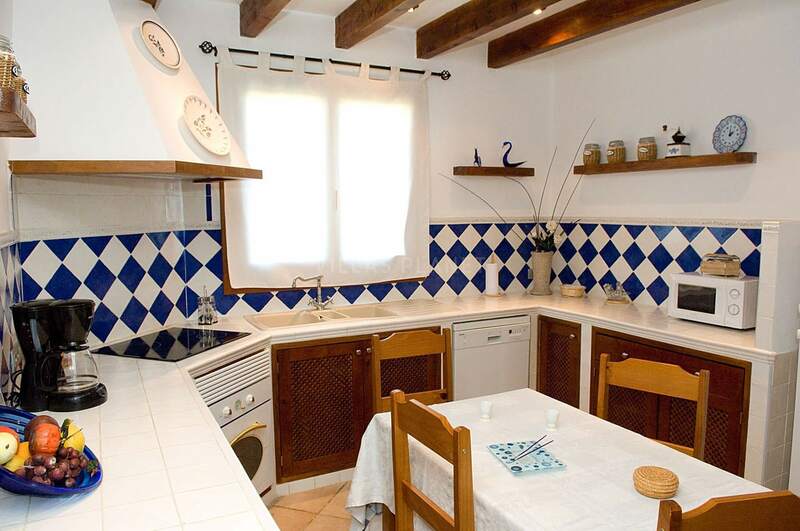 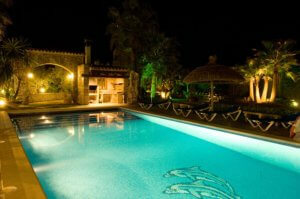 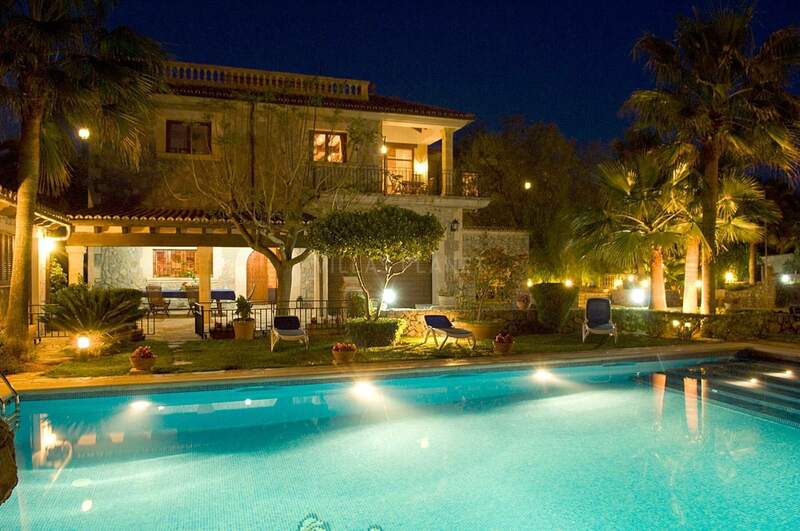 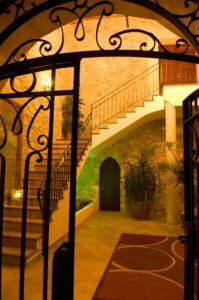 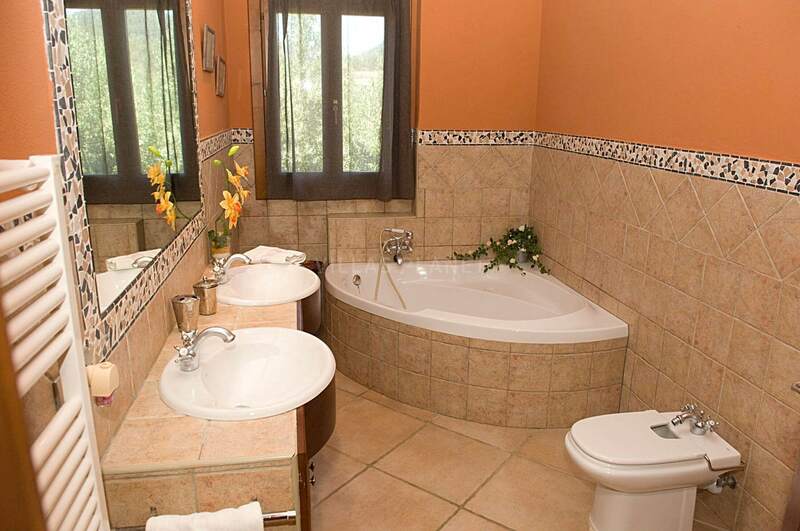 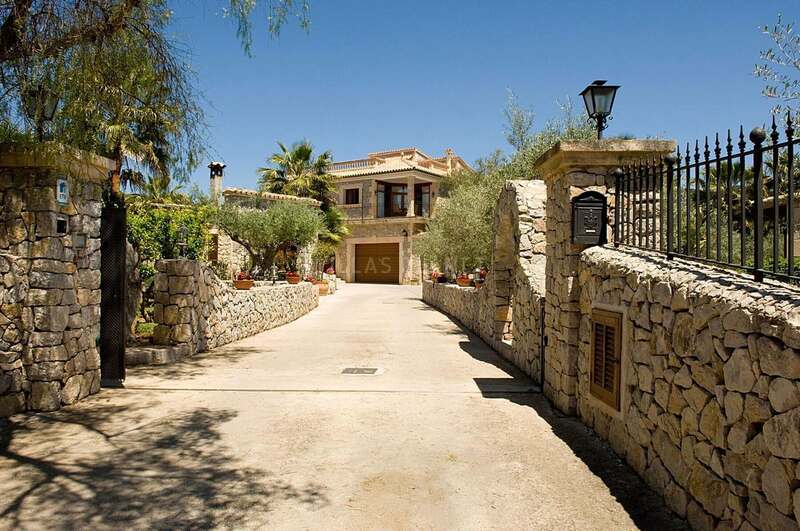 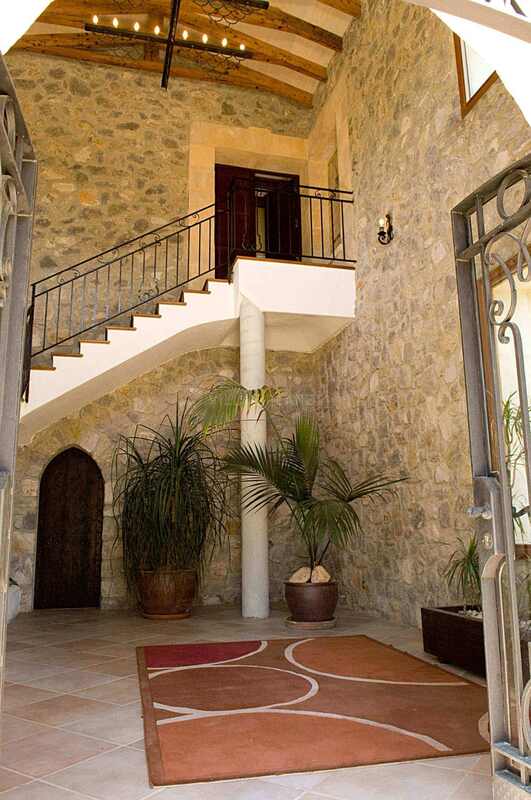 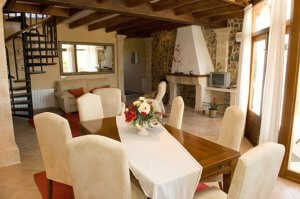 Luxury villa in a residential area called S'obac, between Pollensa and Sa Pobla. Outside about 1800 square meter garden with palm trees and a small lake , saltwater pool with waterfall, outdoor bathroom and shower and a barbecue. 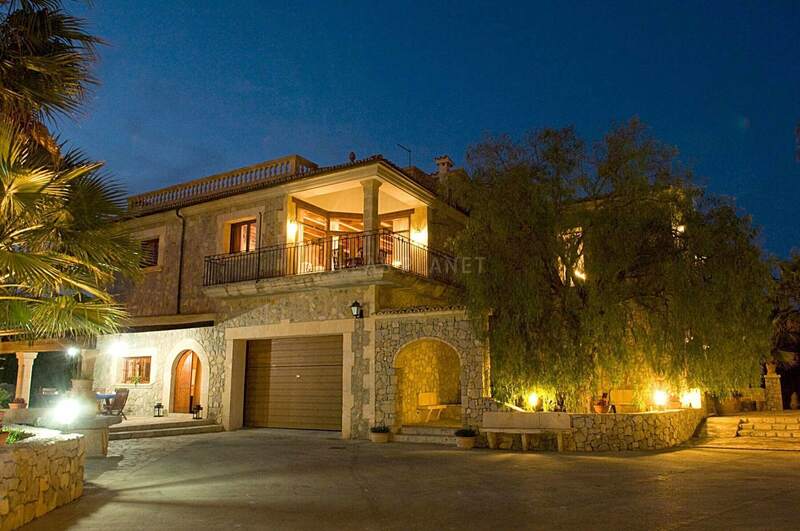 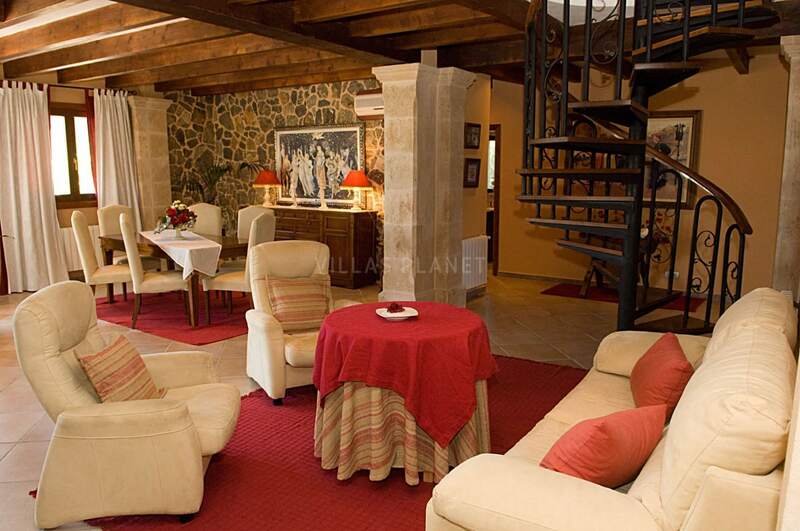 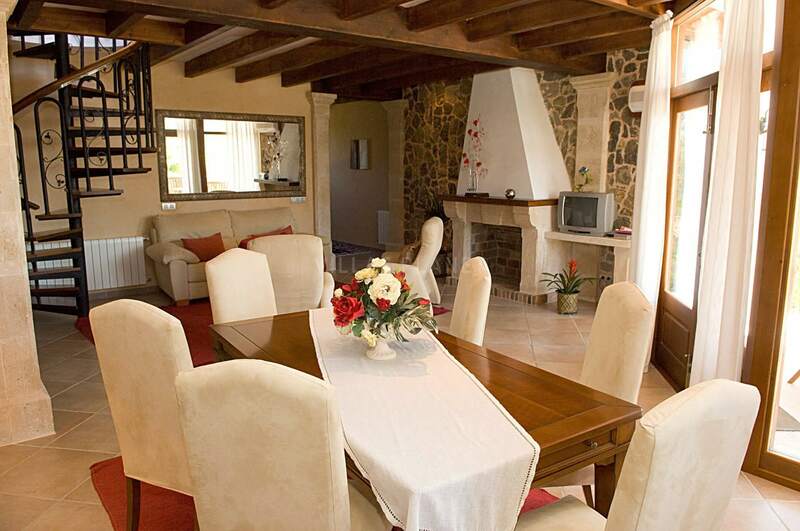 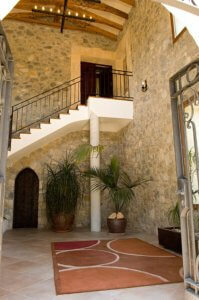 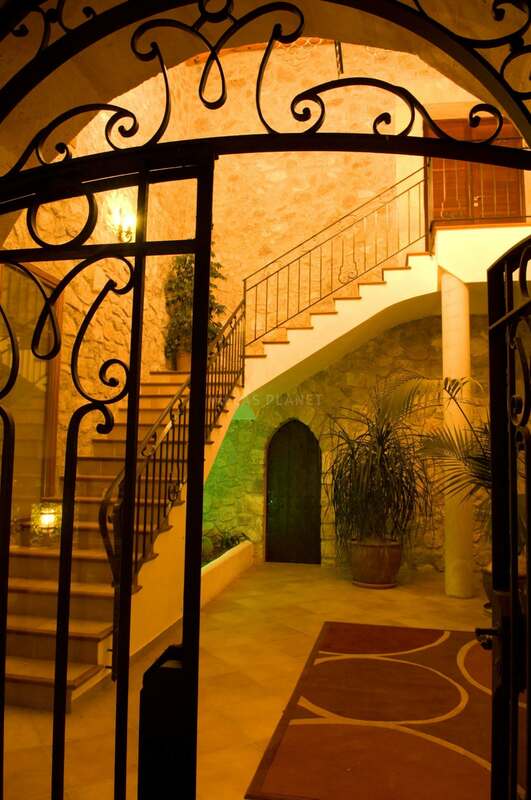 The house has a modern rustic decoration, spread over two floors, living/dining room with access to a beautiful veranda and swimming pool, two fully equipped kitchens, six bedrooms and seven bathrooms (two of them suites), air conditioning in the living room and central heating throughout the house. 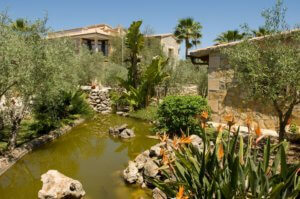 For golf lovers at less than 5 minutes drive you have the Pollensa Golf Course. 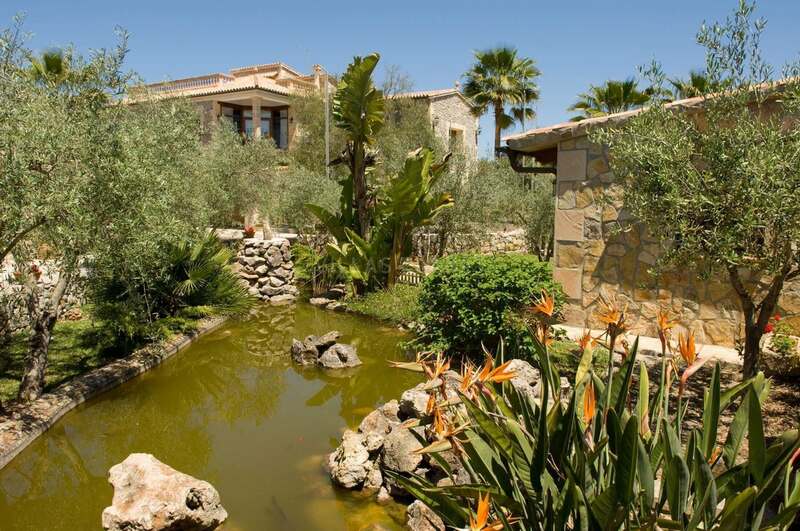 It is relatively closed to Pollença, Alcúdia and their corresponding ports (between 7 and 10 minutes by car), in that urbanization is also a novel form of entertainment: a paintball field. 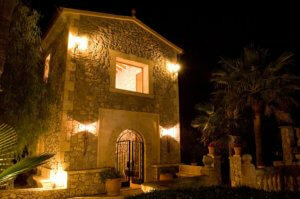 Main attractions to visit in the area: the Caves of Campanet and The Font Ufanes in winter season.